The HMI CAN software suite is the key to tying all of the different modules together. To have a successful design you must have a powerful but easy to use software utility. With that in mind HMI created the CANconnect and CANcreate software utilities. 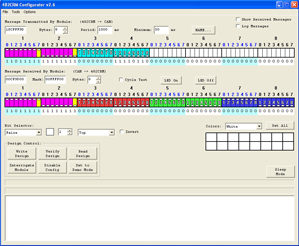 The software allows for the user to visually define how they want the modules to behave. This intuitive approach allows for even non-engineers to configure and program modules. 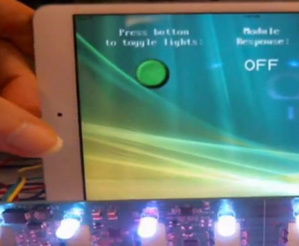 The software is free for any customer that purchases a HMI electronic module. CANconnect is an integrated tool for programming HMI Systems CAN modules. Custom message generation allows the user to make the module work with their system rather than having to make their system work with the module. All modules support dynamic configuration on the fly with embedded flash memory. Modules can also be fully tested independent of the system they are operating in. 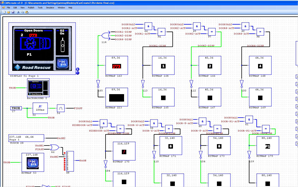 CANcreate is a GUI and logic generation software used to program HMI Systems embedded CAN display modules. The software allows the user to create both visual elements and the logic that controls them in one tightly integrated package. A visual schematic entry approach means no programming is required. Full design simulation and custom graphics are supported. CANvis leverages the power of CANcreate to rapidly build and deploy a custom app onto a mobile platform without needing to learn Xcode or Android’s SDK. CANvis is platform agnostic allowing the same GUI developed in CANcreate to deploy to Android or iOS. The CANvis framework empowers engineers to quickly debug and make changes to their app simply by transferring published files to their mobile device.